Mostly young people are affected. 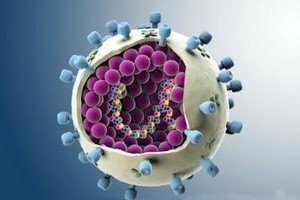 Flu, which raged in 2009-10, is back to Ukraine, Fedir Lapiy, Kiev's main children's immunologist, has told LB.ua. Lapiy is an assistant professor of children's infectious diseases and immunology at the National Shupik Medical Academy of Post-Graduate Studies. "For the flu to leave an epidemic arena, about 75 per cent of the population must build immunity to it. Immunity is built as a result of the illness or after a shot. There is no other option. There are not so many people in Ukraine who have had it, therefore it was obvious that the pandemic flu would return. After 2009 it returned in 2010 and 2011, when it was dominating the other strains," he explained. "According to the Ukrainian Centre for Disease Control and Monitoring of the Health Ministry, none of the regions has crossed the epidemic threshold. Since the start of the epidemic season, from 1 October 2015 to 10 January 2016, there have been 25 cases registered in Ukraine. Some 940 people have died in Ukraine over the same period in 2009." "If many get infected, there will be more people who will have a grave form and will require hospitalization, and consecutively there will be more casualties," he said. As in 2009-11, the flu is expected to mostly hit young people because they are more socially active and because they tend not to stay at home, thus exposing their colleagues at work to the infection.